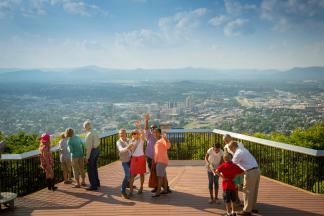 We’re rolling into 2018 with lots of fun events on the calendar in the Roanoke Valley in Virginia’s Blue Ridge Mountains! It’s a busy month for sporting events, concerts, and some unique food & drink events, and you’ll definitely want to save some of these special occasions on your calendar. Here are 25 of the biggest events happening in Virginia’s Blue Ridge this January! 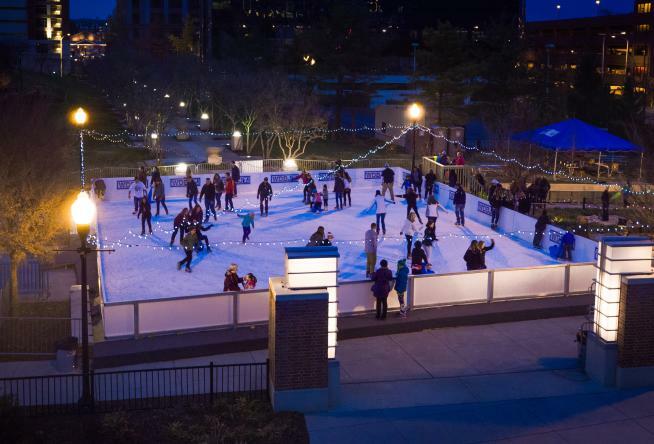 The skating rink will be set up in Elmwood Park in Downtown Roanoke through January 28, allowing you a few more weeks to lace up the skates and hit the ice! The rink is open Wednesday - Sunday and is a great way to spend time outside with the kids. The Roanoke Rail Yard Dawgs have at least one home game during every week in January, including many themed nights for extra fun. January 6 is Country Night, January 12 is Decades Night, January 19 is WYYD Country Cares for St. Jude Night, and January 27 is Super Hero Night. Known for their work on the hit TV show “Nashville,” Charles Esten & Clare Bowen are talented artists who have performed in various musical, film, and theatrical roles. This show at the Harvester Performance Center will focus on their talents in the world of country music. Jefferson Center is hosting The King’s 83rd Birthday Spectacular with a performance by Memories of Elvis, a trio of tribute artists who present the songs of Elvis Presley. 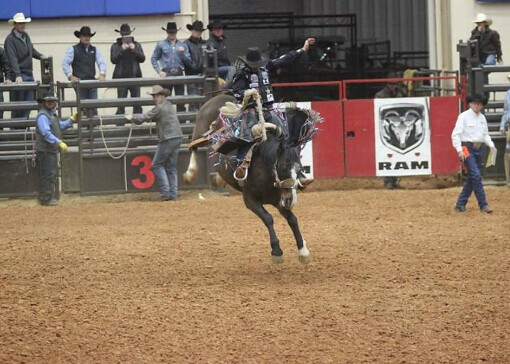 The Salem Civic Center will transform into the home of the Stampede Championship Rodeo for three days in mid-January. There will be bull riding, steer wrestling, barrel racing and lots of fast-paced fun. If home and garden projects are on your to-do list for 2018, you can find all kinds of resources, tools, and ideas at the Greater Roanoke Home & Garden Show, which returns to Berglund Center for its 9th annual event. Enjoy a full day of great high school basketball as Berglund Center hosts The Lea’s High School Winter Classic. Games begin at 1:45 p.m. and the showcase matchup for the Mayor’s Cup between Patrick Henry and William Fleming is scheduled for 7:00 p.m. Youth soccer teams will attempt to qualify for the Virginia State Championships at the 2018 Countryside Futsal Cup, hosted by the Roanoke Star Soccer Club at the Countryside Sportsplex. Held over the weekend leading up to Martin Luther King Jr. Day, the Dream Bowl at Salem Stadium is a college football All-Star game showcasing the top FCS, Division II and Division III college football players from around the country. Learn about the nocturnal habits of the animals at Mill Mountain Zoo by taking part in this month’s Night Howls event on January 18. There will be hot cider and cookies, as well as a guided tour. Get ready for an amazing evening of wine, food, and art at the Taubman Museum of Art’s Wine + Dine event. There will be a private gallery tour from artist Joan Tanner, a reception with live music, and a gourmet meal expertly prepared by a head chef and wine sommelier. The annual Downtown Roanoke Restaurant Week is a great excuse to dine at all your favorite spots in Downtown Roanoke, as well as try a few new places. There will be various specials and pre-fixe meals across multiple price-points to accommodate any budget. This collaborative project between Hollins University and Mill Mountain Theatre is a wonderful way to discover the writing and theatre being produced and performed locally in Virginia’s Blue Ridge. The 2018 Winter Festival will feature three productions - “Ouija” on January 19-21 & 26, “Cold” on January 27, and “She Made Space” on January 28. This annual charity (supporting the Muscular Dystrophy Association) hockey game between local firefighters competing against local police officers and law enforcement personnel has become one of the region’s most popular events, selling out Berglund Center for three consecutive years! 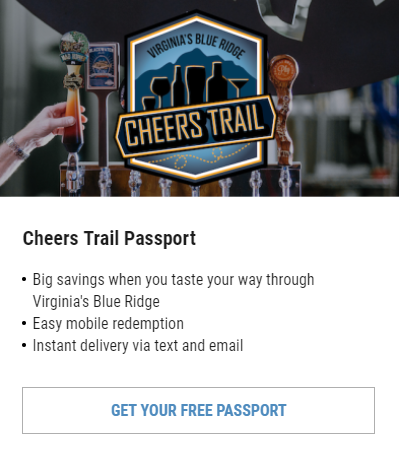 Speak with local vendors, venues, and other wedding professionals from Virginia’s Blue Ridge who can help you create the perfect day for you and your future spouse. This year marks the 60th annual Roanoke Valley Kazim Shrine Circus as it returns to the Salem Civic Center. Get ready for five days of entertainment and fun for the entire family. Alarm Will Sound is a 20-member band that performs a variety of musical styles and songs. “1969” focuses on many of the iconic members of the music scene in the 1960s, including The Beatles, and the role it played in the world during that era. 19. Take Me to the River Live! “Take Me to the River” is a musical journey through the South that showcases the soul and sounds of Memphis blues and the Mississippi delta. The show is headlined by Grammy winners William Bell and Bobby Rush, as well as Memphis music legend Don Bryant. Popular comedian, actor, and all-around entertainer Kevin Hart comes to Berglund Center as part of his Irresponsible Tour. His stop in Roanoke on January 26 will include two shows, one at 7:00 p.m. and the other at 10:00 p.m.
Star City Playhouse is a community theatre and it kicks off 2018 with its production of Gin Game, a story about two elderly people in a nursing home who get to know each other by playing various games together. Just because it’s winter doesn’t mean we put our bikes away in Virginia’s Blue Ridge! Downshift Bikes is hosting a Party Ride on January 27 and all are highly encouraged to come ride with lights and other obnoxious attire and bike accessories for this group ride. Enjoy a great day of wine, hors d’oeuvres, live music, and art at the 5th annual International Wine Festival at the Taubman Museum of Art. There will be over 30 kinds of wine from around the world and experienced wine stewards will guide you through the sampling. 24. LA Theatre Works - "The Mountaintop"
L.A. Theatre Works presents The Mountaintop, a former Broadway play that looks at the life Martin Luther King Jr. and what may have transpired the night before his death on April 4, 1968 in Memphis. Riverdance returns to Roanoke in Virginia’s Blue Ridge as a stop on its 20th Anniversary World Tour. The show will feature the incredible dancing, costumes, and music that has made this one of the most well-known sounds and performances in the world. Visit our Events Calendar to find out more about what’s going on this month. Don’t forget to check us out on social media and sign up to receive our free monthly e-newsletter.